I had a show with Clare Teal last night in Lichfield and thought it would be the ideal opportunity to pop in to see John East to have one of his Marcus Retro preamps fitted to my Japanese Fender Marcus Miller bass. I’m so excited about the results I had to tell you all about it!! All bassists know of electronics wizard John East, particularly his fantastic J-Retro preamp that has been around for years. I’ve read numerous rave reviews from bassist all over the world about John’s preamps so when I saw him on his stand at this year’s London Bass Guitar Show I sidled up for a quick chat. 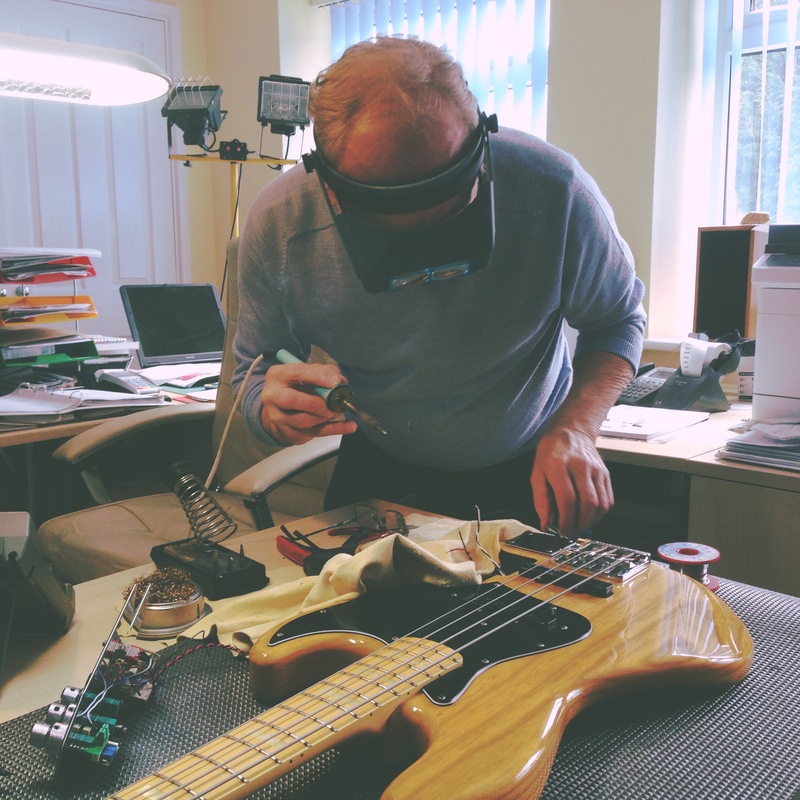 John has developed a preamp specifically for the Fender Marcus Miller bass and I got to try one out on John Bird‘s Marcus bass at a filming session for iBass Magazine about a month ago. I was blown away by the range of tones available and thought it was about time I gave my Marcus bass a bit of love as It has been slightly relegated by my two P-basses over the last couple of years. So having had Martin give it a fretstone at The Gallery in Camden last week I took the bass over to John East so I could have him fit the preamp himself. What a treat! John’s Marcus Retro preamp is based on his famous J-Retro circuit, but the “bass and treble contours are voiced to be similar to the preamp that Marcus uses. Two versions are available, with and without control plate“. So iyou can fit it in any jazz-style bass but if you have the Marcus signature it comes with a matching faceplate from Fender so you can pop it right in. 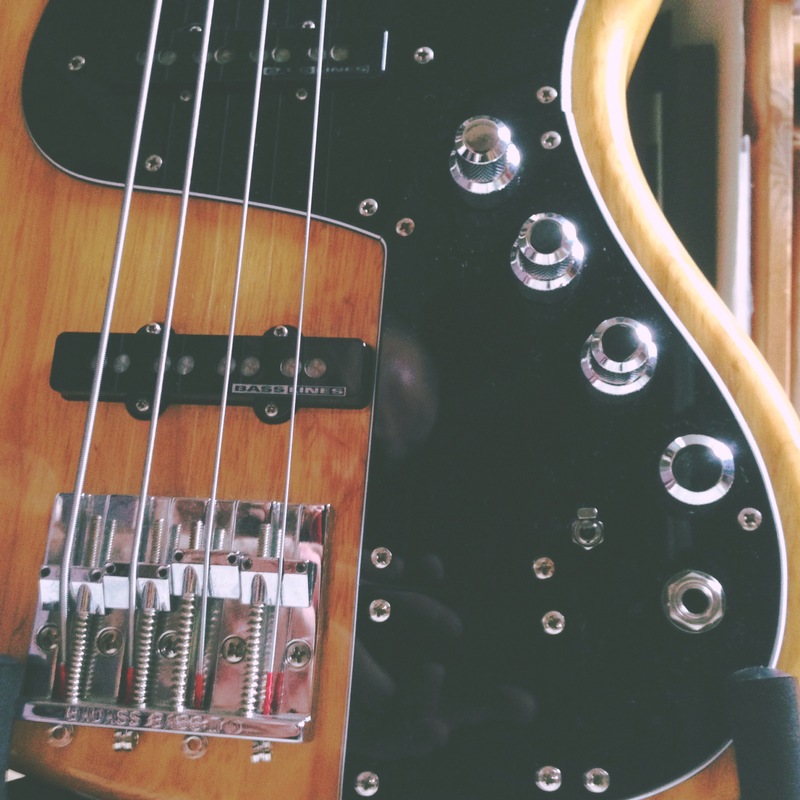 My Marcus bass now has one volume knob stacked on the blend knob (way better than the standard jazz two knob scenario), stacked bass & treble, stacked sweepable mid and tone with a switch to lock the pickup selector if necessary. There’s also handy push/pull functions to switch between active and passive modes and bright boost. Such a delight! It feels like I know have four basses in one! The tonal range available now is incredible. I can now can a beautiful p-like subby fat tone (even with roundwounds) alongside all the usual classic jazz bass sounds. And an improved Marcus Miller slaptastic twang, obviously! So, what’s next? you may ask yourselves. Well, I also took along my trusty Warwick Triumph bass (yup, I left London with a carload of gear! 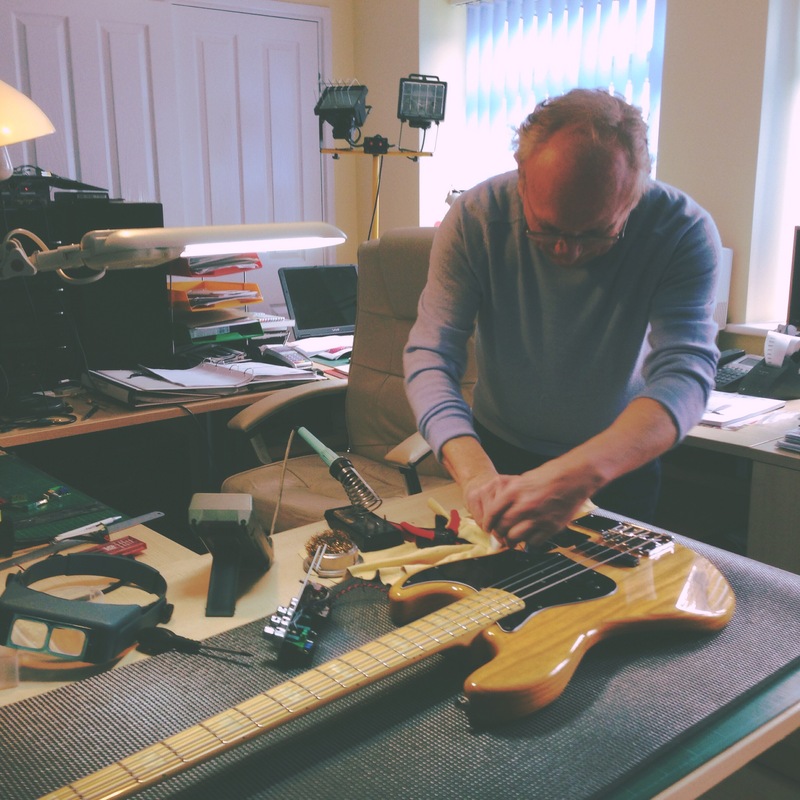 ), which John had a look at and he’s now designing a similar preamp to fit this bass. It’s be going to be based on the Marcus Retro but without the tone knob and with a voicing aimed specifically at the Triumph. John has a stomp box version of this preamp; I tried the Triumph through it and it sounded fantastic. Hoping to get that fitted sometime next week. I’ll let you know how it goes and post some more pics! This entry was posted on Sunday, March 22nd, 2015 at 7:47 pmand is filed under . You can follow any responses to this entry through the RSS 2.0 feed. You can leave a response, or trackback from your own site.